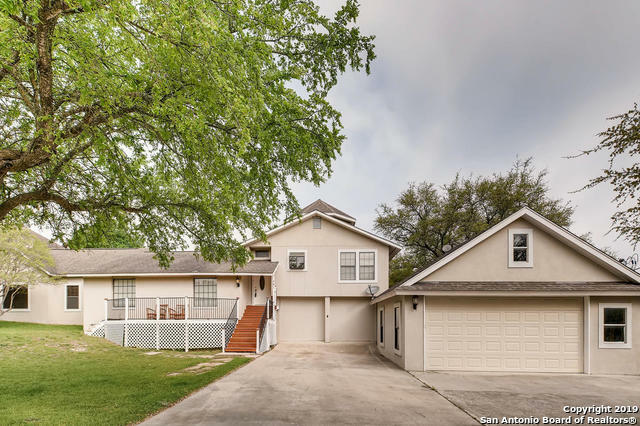 All CANYON LAKE VILLAGE WEST homes currently listed for sale in Canyon Lake as of 04/20/2019 are shown below. You can change the search criteria at any time by pressing the 'Change Search' button below. "NATURAL LIGHT ABOUNDS in beautifully designed modern farmhouse. Brand new construction boasts of amazing Canyon Lake views. Flexible, open floor plan has 2 story 4 bedrooms 3.5 baths. Hand-hewned hickory hardwood floor, Paul Young windows, exquisite trim work. 50x12 covered porch with stunning lake view can be accessed from living or master. Open and airy kitchen has stainless appliances and glass door cabinetry. Oversized utility room has countertops with convenient finish out. 6000"
"Large home with many unique features. Multi-level, 2 fireplaces, HUGE master bedroom, good sized secondary bedrooms, Sunroom, Media Room, Office/Library w/fireplace and MORE." "Fabulous corner lot location in Canyon Lake Village West sitting on over a half acre with country views and seclusion! Priced to sell and for condition; good bones but has been a rental. Wonderful 42' x 12' covered deck to rear. Garage is currently a conversion to a 4th bedroom but could easily be converted back to 2 car garage. Great neighborhood with lots of amenities and close to the lake. Large kitchen, breakfast bar and open floor plan to living rm. Outside access from living and mast"